India is one of the most populous countries in the world, with more than 1.2 billion people. If your company is sending employees abroad to India, take a moment to think about that. While vaccinations are routine before relocating, expatriates can still experience health problems in India that are somewhat rare in the United States. Typhoid, hepatitis A and B, malaria and altitude sickness are all common ailments. Air quality is an issue as well, so those with respiratory problems like asthma and chronic bronchitis should take additional precautions. India health insurance is a necessity. International health insurance will cover your employees in India whether they are injured, sick or need routine medical care. 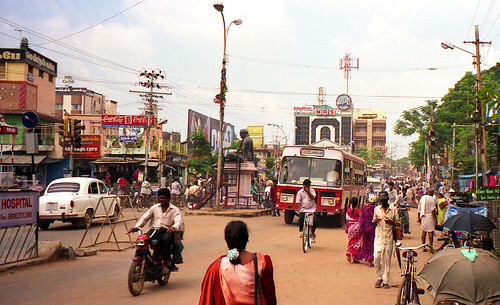 Employees relocating to India on a long-term assignment can take several precautions to lower health risks. • Have all recommended and required immunizations before relocating to India. • Avoid using untreated or non-bottled water for drinking and food preparation. • Prepare for monsoon season and its after-effects. • Don't wait until something happens to read and understand exactly what an international health insurance plan does and does not cover. Expatriate employees should make an effort to blend in with the local population while paying attention to health and safety. Companies can help their employees to make the most of their experience abroad by planning ahead.